A 60-year-old man has proven that it’s never too late to follow your dreams. 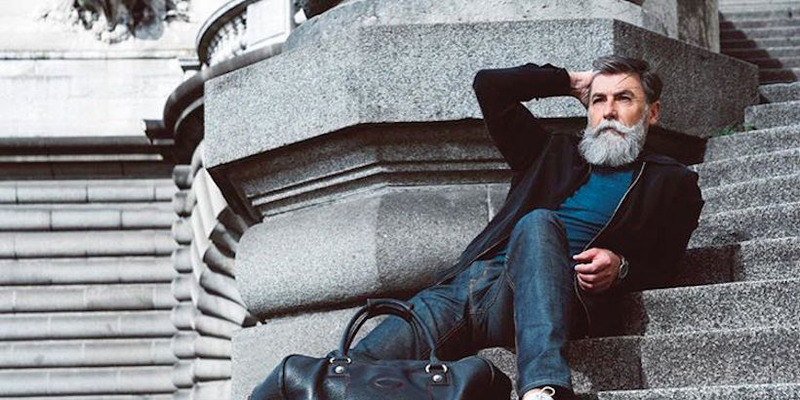 Seven months ago, a Parisian man named Philippe Dumas posted photos of himself on Reddit asking if he could become a model. The consensus was that he could. Dumas, a former film location manager and later advertising exec, decided to pursue modelling after the advertising agency he worked for went bankrupt. He grew out his beard and the rest is history. He has since been booked by multiple agencies, and has appeared in campaigns for Getty and Joop! Homme, a cologne. He told Style Aria that he watches his diet and works out to stay healthy. He definitely is a dapper man.